A view over Back Dale, from the Wolds Way. The slope down into valley is known as Vessey Hill, with Vessey Pasture Dale to the left. 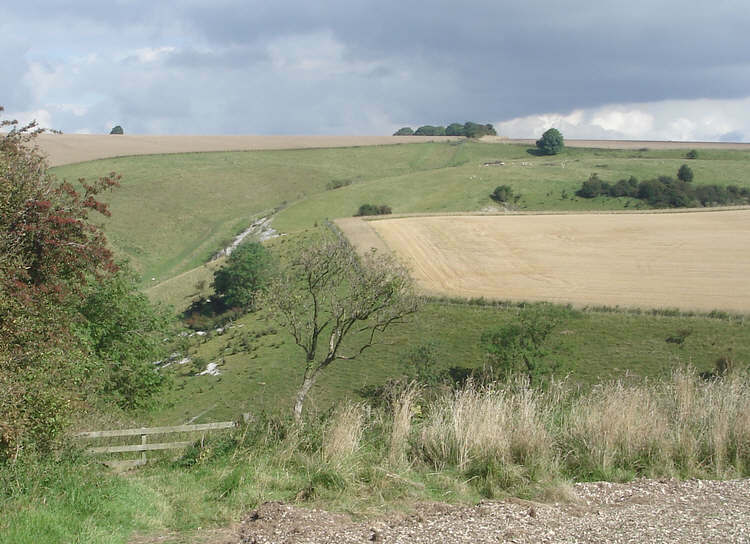 The Wolds Way runs up the un-named dale in the back of the picture, and heads for the trees on the skyline.